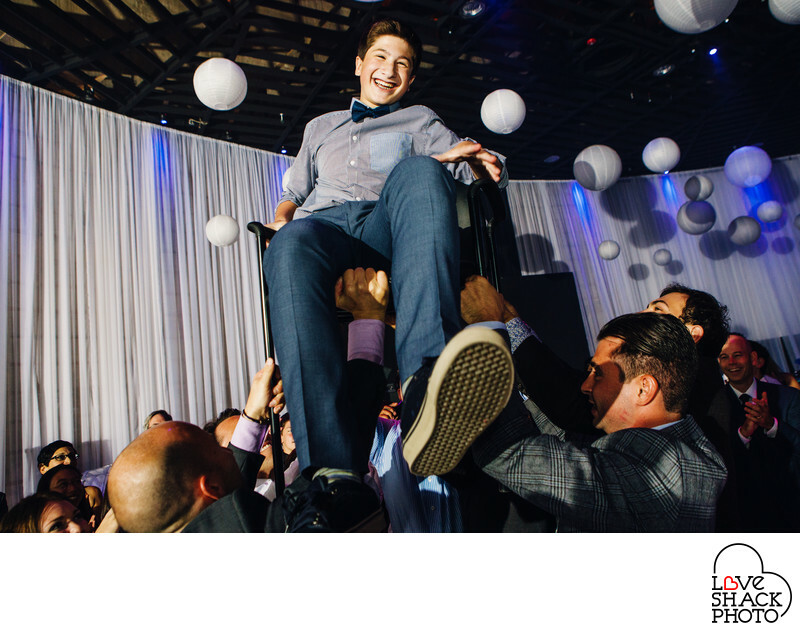 Cooper gets lifted during his bar mitzvah hora at the Fuge. The Fuge is such a unique venue in the Philadelphia area for corporate events, mitzvahs, weddings and even sweet 16 parties. It is so open and industrial, there is really so much that can be done with it. Location: 780 Falcon Circle, Warminster, PA 18974.